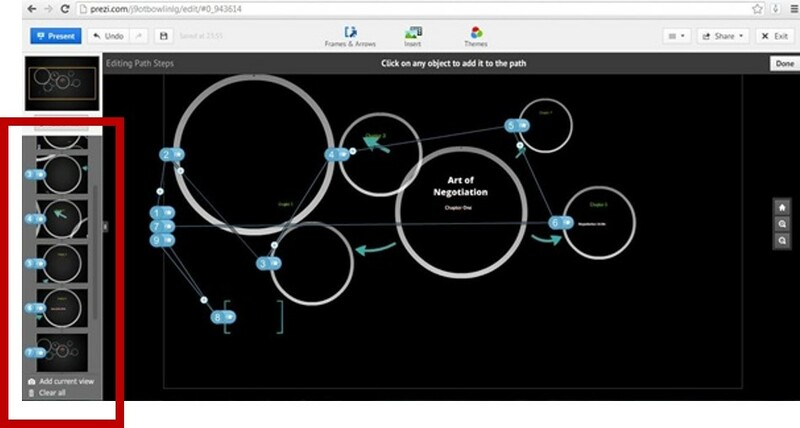 Create a new Prezi, by clicking on "New Prezi"
Think about your presentation. 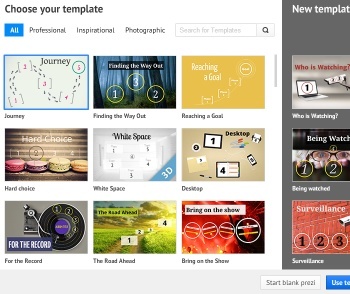 Which template best matches the message you are trying to convey? 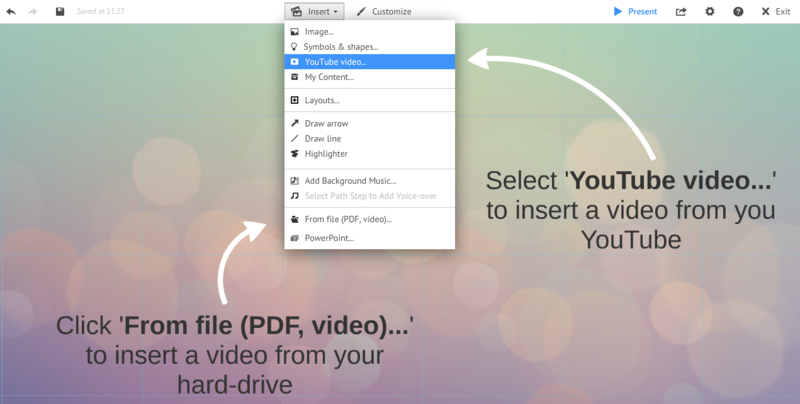 Don't forget to click on "more" to see more templates. Click on the frames to the left to see how the presentation will flow. You can rearrange the frames by dragging and dropping the frames. Start by editing the existing text boxes. You can also click anywhere on the canvas and start typing. 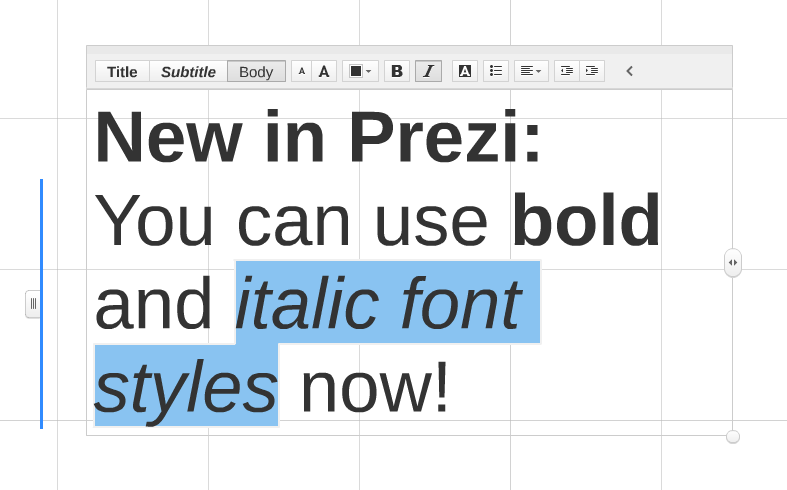 While you are adding text (blue box appears), you will see a tool bar where you can change the font, font color, etc. 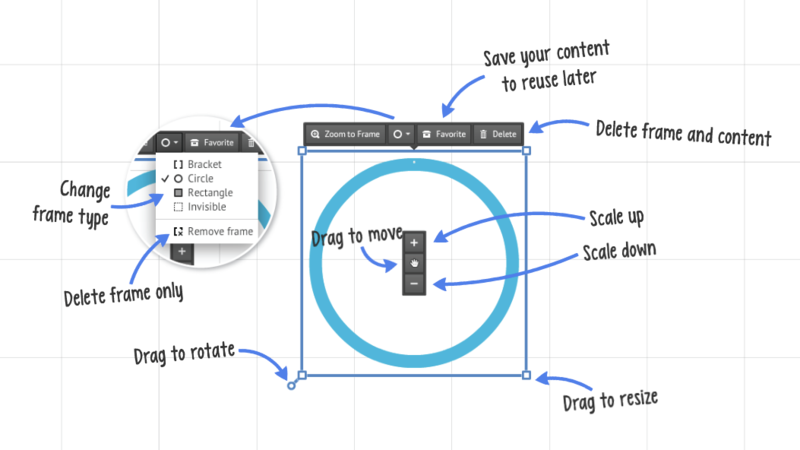 You can also change the size of the text box and rotate the box. Add images, symbols, shapes, videos, etc. 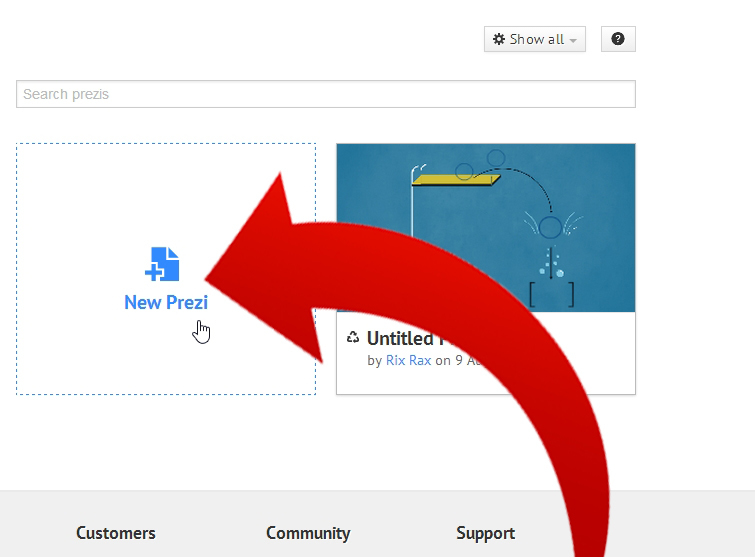 When using the search images feature of Prezi, you should click on the "for commercial use" box.